Cerberus is proud to help introduce Yuengling to New Orleans. D.G. 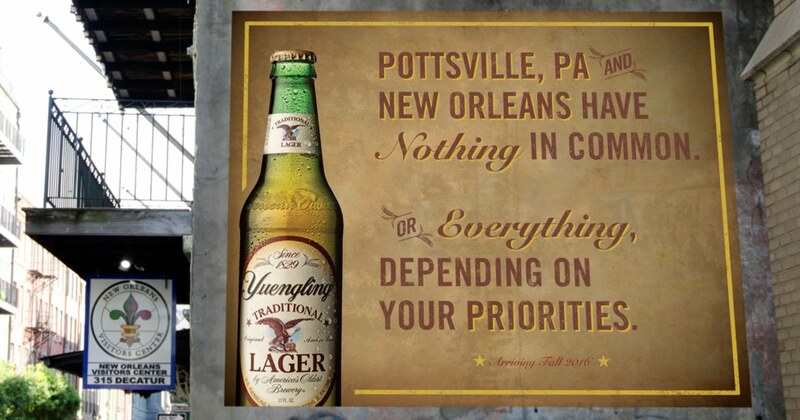 Yuengling & Son is a family-owned brewery in Pottsville, Penn. that has for years has distributed its beers as far South as the beaches of Alabama. 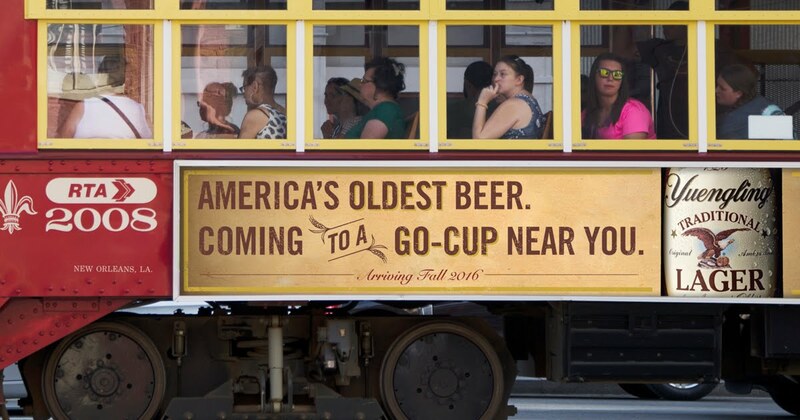 When Cerberus (www.cerberus.agency) heard that their beach-trip favorite brews would be soon coming to Louisiana, and specifically to their hometown of New Orleans, they decided to go the extra mile. Namely, by creating this campaign for America's Oldest Brewery designed to be distributed via the agency's social media channels. 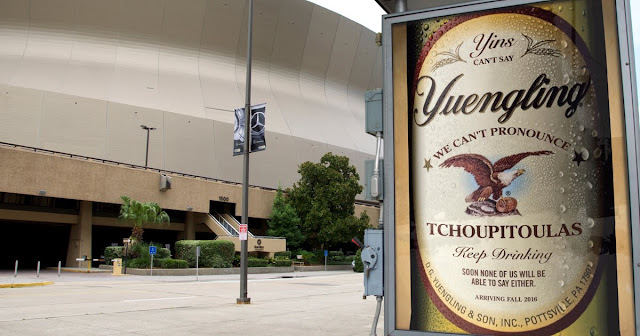 All of the placements as they appear in the "campaign" are stylized imaginings (Super Dome, Lafite's Blacksmith Shop, Streetcar, French Quarter) of how a full-blown out-of-home campaign could appear if Yuengling decided to pursue such an undertaking. 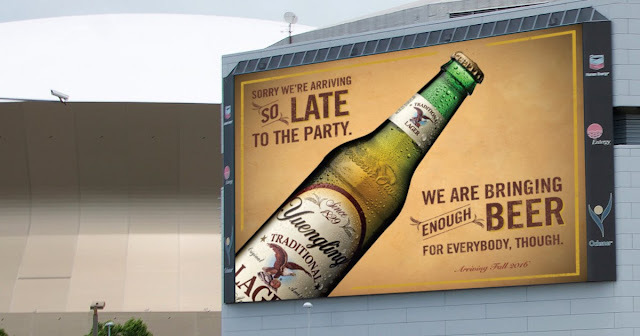 "Of course, if the brewery would like to actually run the campaign, I sure we wouldn't mind helping out with that one bit. Some free beer sent our way is always a nice gesture, too. 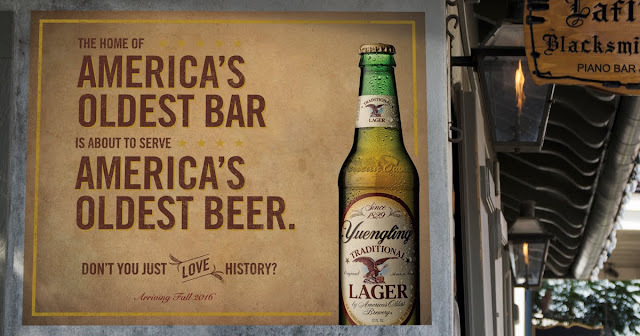 ", said Justin Bonura, one of three agency owners and creative directors.